Apr. 10 2014 about HPB ISW! Jun. 27 2014 about MAY Egg Hunt the paid game for Expert at TDL. Finally I share the Egg Hunt game with ease at TDL in Jun. This annual fee-based game during this Disney's Easter have two version. One is easy to solve and find an egg hunt for a beginner, and another one is for an expert. And a question and egg hiding place for the expert will be changed in every month. This special event ended on 23 Jun. TDL Easter kept going almost three months! That's why I openly give the report with you now. I bought a sheet for 1,030JPY at a counter. There are some hints for hiding eggs on the sheet. We will be find the place from these pictures were painted by easter bunny. The possibly hiding places are nine, but the right place with eggs are only five, so some of them are decoy. So, let's find a place from the picture. A bamboo and a basket of looks like potatoes reminds me that tropical settlements. I think I should go and check around Adventureland. So let's go to the exactly place of the picture. Yes! We found a pineapple egg as the sticker. The one right hiding place is "Swiss Family Treehouse" at Adventureland. Let's move on to the next. A hanging crate with rope... Work place or something, hmm I remembered there are many crates in Westernland. Let' s check it out. We found it the second egg. This egg crate was waiting for loading. The eggs are scattered all over the park. You will be find the right egg when you're strolling involuntarily. Put the right egg sticker on the right hiding place on the sheet. This egg was located in front of "Castle Carousel". The fishing place and tidy chair and hat. Thinking about a waterfront reminds me Westernland or Critter Country. I found one egg at Westernland, so I had to go another. This watermelon like egg was located near outside seating area of "Grandma Sara's Kitchen" the counter service restaurant. The last one is my favorite egg and hiding place in this final season. The picture was little bit tricky, but there are only place use white and blue for architecture. It's a roof of queue line at "Space Mountain" in Tomorrowland. So cool ride-shape eggs on your head. It's really perfect dynamic design at Space Mountain. Don't forget to pick up a special key chain as a reward of the egg hunt. Each one design launched in every month. The last season in Jun was Mickey. The first season was Chip & Dale the left, the second season was Minnie the middle, and the last one was the right as Mickey. 2014 TDL Easter finally closed! The first projection mapping show at TDL opened in 29 May. I think most Japanese don't know there are pioneering show in each park, like "Disney Dreams!" in DLP, "Celebrate the Magic" in WDW. However a projection mapping is highly popular entertainment in some areas around Japan. So people had a high expectations for the opening of “Once Upon A Time” the nighttime entertainment in TDL. Before an introduction of the new castle show, I'd like to share with some things. First about a viewing area of this show. In TDL, we have to try a lottery if you'd like to watch the show from best spot. "Tomorrowland Hall" the lottery station is located in next to "Space Mountain" in Tomorrowland. Sometimes we have to wait to try the lottery. But don't worry there are lots of lotter machines. The lottery is very simple to use and go. 1). select English button on the touch screen, 2). choose one show time from the two shows, 3). scan your bar-code of the passport ticket, 4) And OK button. In front of the castle set plastic benches for the show, so if you'll win a viewing area ticket, you will be able to enter those area before the show. Your seat number provided on the ticket. And the seat's number is labeled on the back your bench. There are 2 times in one day, now there are 20:50 & 21:40. We have little time before dark, so let's check the merchandises. This is the main window of "Grand Emporium" at World Bazaar. Mrs. Pot & Chip soft toy key chains and long towel. The main story of "Once Upon A Time" is going on story telling by Mrs. Pot's to his son, Chip. So there are many lovely but minor this adorable two's items in TDL. Glass and jigsaw puzzle. And the book-shape cushion is so lovely. And here are regular merchandises of the show. Place mat, sticker, post card, and button. The opening pin and another show themed pin. So let's go back to the show! To be honest, I never won the lottery ticket. I tried 5 times. The opening day, without the viewing area ticket, I only had to stand and watch it near the end of World Bazaar. Because there were tons of guests to see the show, so I couldn't go to near castle. You can imagine how people came to see it. The guests go back to the exit after the second show. Here are my feedback of the show. I like the main song of "Once Upon A Time". It was quite touchy and I love it. The song of the show is all English which is nice. My favorite part is a brief second. It's a last part of "Peter Pan". When Peter and us reach "the second star to the right", the seven-color lights come and gone in for a brief while. It effected me I flew through a rainbow over the Never Land! Most people tends to express regret at a pyrotechnic cut version due to the strong wind, but I think it's a nice chance to see and enjoy the projection onto the castle. The very last of the show , there are many fireworks, so too shiny to fade the original rendering. So enjoy the both version! We have no water screen and synchronized gadgets, but still it's great show I think. Today I share the Egg Hunt game with ease at TDL in May. This annual fee-based game during this Disney's Easter have two version. One is easy to solve and find an egg hunt for a beginner, and another one is for an expert. And a question and egg hiding place for the expert will be changed in every month. 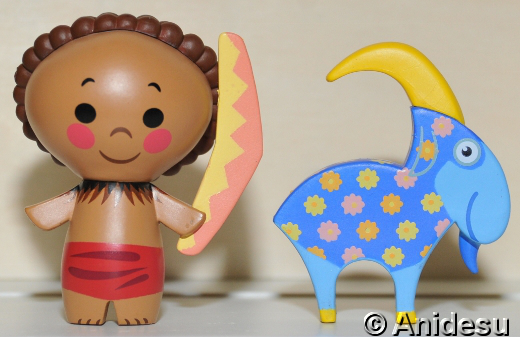 (TDL Easter event will go on June!) The second season of the expert egg hunt ended 28 May. That's why I openly give the report with you now. The above picture is easy to guess! It's A Small World exterior at Fantasyland. So let's go to the exactly place of the picture. But there are no egg same as the sticker around here. There are only ISW cute eggs. It was a wrong place. So how about this one? A top of the red heart reminds me that queen. I think I should go and check around Fantasyland. This is exactly same place with the picture. Yes! We found a pink heart-pattern egg as the sticker. The one right hiding place is a roof of "Alice's Tea Party" at Fantasyland. A mask and beads... It's an key items of Mardi Gras! Yes that's New Orleans Square! This egg is window of "Party Gras Gifts" the merchandise store. This egg from waterfall near "Swiss Family Treehouse". This one took some to get a right answer. The motif of the weathercock is accordion of a camera. The hiding place is somewhere of "Splash Down Photos" the attraction photo counter. This shop owned by Phineas Firefly the famous photographer in Critter Country. So let's take a quick glance at his private house. The behind of the "Splash Down Photos", we could find his pretty house. It's the exactly same as the right egg on the sheet. The last one is my favorite egg and hiding place in the second season. First Look at the drawing and the actually place at the park. It's a fountain in front of "Roger Rabbit's Cartoon Spin" the dark ride. Look at the Roger's hand. The egg is same as a fish around Roger. TDL Easter still going on! Here it is May, so I share the Egg Hunt game with ease at TDL in April. This annual fee-based game during this Disney's Easter have two version. One is easy to solve and find an egg hunt for a beginner, and another one is for an expert. And a question and egg hiding place for the expert will be changed in every month. 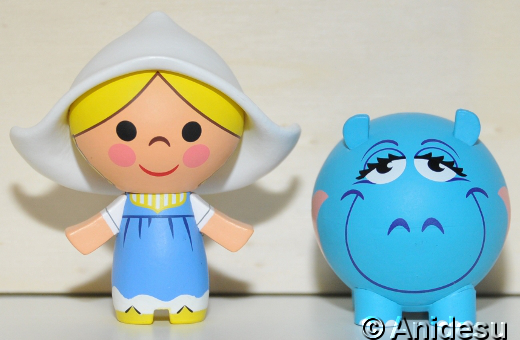 (TDL Easter event will go on June!) That's why I openly give the report with you now. We get a sheet for 1,030JPY at a counter. The paper sheet was tattered because of a heavy rain. In this year 2014, the egg hunt sheet was sold at not only a hub booth but also "Cleo's" and "Space Place Food Port" the food counter. This one is easy for us, isn't it? It might be a Tiki drums at Adventureland. So let's go to the exactly place of the picture. But there are no egg same as the sticker around here. There is only Stitch egg. It was a wrong place. I think it is a stripe of candy-cane. I think I should go and check around Fantasyland. Yes! We found a red stripe egg as the sticker. The one right hiding place is from a window at “Pleasure Island Candies” the confectionery shop at Fantasyland. Blue stripes very bend arrow, and big hole with overdramatic burst. It's a fireworks! Yes that's Toontown. This is the place of the picture. It's little bit tricky drawing. This place was a back side of a main fireworks factory in Toontown. We found it ! The second egg is a crate like pattern. This egg was located very near exit of “Roger Rabbit's Cartoon Spin” the attraction. The eggs are scattered all over the park. I found the same egg as the sticker on the sheet when I strolled. So we have to find the right picture of this carrot painting egg. This egg from “The Gazebo” the food counter. I think this picture is right one. The sticker which left the sheet is a Native American pattern, so it might be somewhere in Westernland. It's a window from “Western Wear” the merchandise store in Westernland. When I found a truth during this egg hunting... This Easter Bunny was not really good painter. Who else do you notice the below picture is "Star Jet" the attraction? Picture from a tale side of the vehicle is very recondite and the colors are totally different! Why OLC asked the easter bunny for this? There are great painter in Disney friend. His name is Pluto. I hope next time they pick him instead easter bunny the not good artist. The design will be changed in every month. April was Chip & Dale. Happy Birthday It's A Small World!! Today, I'll sing the song loud before I go to bed! Spring has come, yes it's time of popular event has began. TDL started annual spring special event, Disney's Easter from 2nd April to 23 June. Let's hop around the park! Two cute bunny help this pretty flowerbed. The back of the Mickey flowerbed, there are more bunnies with beautiful vegetation. World Bazaar facade is decorated with many colorful eggs. In this season, we can find and enjoy many character eggs in TDL. So I introduce them include some new eggs! It's big impact egg in front of "Monsters Inc" attraction. The Sulley is so huge, Mike egg need a tall stand for Sulley which is funny. Yes, Buzz is flying with beautiful chrysanth flower jet flow. The below cars' eggs haven't change since last easter, but I love them and their location. There are lots of your favorite characters in Toontown. The Pluto and ChipnDale are same shape as the last event, but it was painted new design. Not only Disney friends, but we can enjoy a mischievous bunnies in a flowerbed. Goofy is completely new looks and new perfect location. The design is same as his costume of "Hippity-Hoppity Springtime" the special easter parade. Mickey & Minnie are also same costume design from the parade. These lovely eggs are located in front of Minnie's house. I don't know why but their place are very beautiful, so it's OK.
Donald & Daisy surrounded by tons of tulips in front of Crystal Palace the buffet restaurant. In Fantasyland, there is a brand new eggs. And another awesome newcomer from Westernland. Don't miss them! They're located on the attraction facade above the theater entrance. Today's topic last is main photo location of Disney's Easter 2014. At the hub, there are so cheerful and colorful nice seasonable decorations. Enjoy a secret easter garden! The right side of the hub is a Goofy's family exercise area. My favorite is left side. It's a magical vegetable patch and Donald. I always like to see Donald is working so hard. The worm is also cheering for Donald and bunny. So please check it out so closely. I'll share a Disney's Egg Hunt 2014 with you in next time.